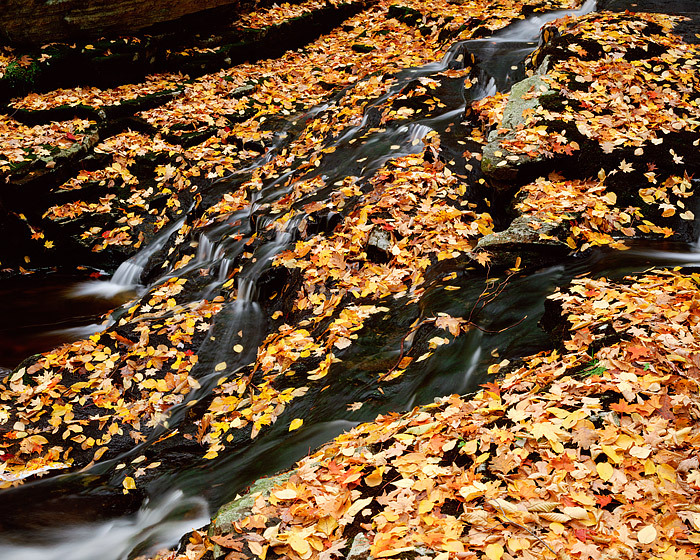 Tioratti Creek in Harriman State Park cascades through the fall Autumn leaves the coat the forest floor. Harriman State Park and much of Southeast, New York are displaying their prime fall colors. Photo © copyright by Thomas Mangan.